A very personal take on chess strategy. The series title (‘Greatest Ever’) is a misnomer, and a change of mindset is needed to get the most out of the book. 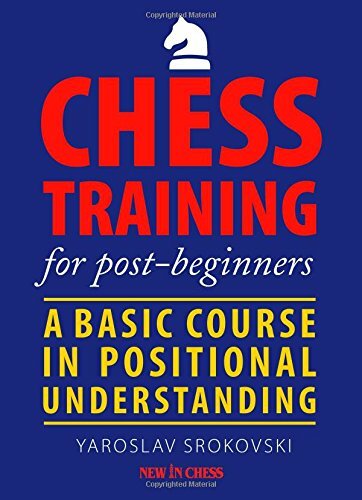 So rather than get hung up on the clear disconnect between book’s title and its contents, I’d recommend you take the tack that each section (there are several in each chapter) is a self-contained essay on a specific aspect of chess strategy. And all of a sudden it will become a useful, enlightening and interesting book. To start with, Sam Collins introduces the notion of ‘playing by analogy’, something which, in a sense, all players do. We have a stock of strategic ideas, perhaps derived from our study of master games, and when the appropriate position or positional feature crops up (whether it be a backward pawn, an open file, a bad bishop, etc. ), the related stratagem kicks in (restrain, infiltrate, exchange, etc.). What has worked before, we use again in a (significantly) similar position and circumstance. In the principal chapters (entitled ‘Pawns’, ‘Bishops’, ‘Material’ and ‘Dynamic Factors’), Collins focuses on a select few interrelated topics, rather than aiming for an all-embracing but possibly superficial comprehensiveness. And he writes about a topic only when he has something new or interesting to say about it, or when the strategic idea is little known or (in his view) underappreciated. For example, the idea of repositioning an apparently already well-developed piece crops up in the section ‘Fresh Pastures’ on pages 83-89. There is a personal angle to the book also, as Collins has acquired his knowledge through often bitter albeit rewarding experience. Of the 76 games here, there are a fair few losses he has incurred or draws he really should have won. And even where Collins wins (yes, he has included a few) he is candid about any errors, imprecision or shortcomings on his part. It’s a personable book and it’s interesting to see how a modern player, a current competitor, views these various strategic devices and factors. Don’t expect a sheath of masterpieces by Lasker, Capablanca, Botvinnik and Karpov though; that’s not what the book is about. This is the third volume in an ongoing series. What these volumes attempt to do is to present an opening repertoire that is consistent with Kramnik’s positional style of play. All the lines are ones that Kramnik actually plays, or could well play; according, that is, to Khalifman’s conception of Kramnik’s approach to chess. On 1.Nf3 c5, Kramnik usually goes 2.c4 and so the Symmetrical English is the subject of the present volume. Part 1 is devoted to the Four Knights’ Variation (1.Nf3 c5 2.c4 Nf6 3.Nc3 Nc6 4.g3), including the line 4…d5 5.d4. Fans and followers of Kramnik’s career will know that this is very much one of his specialties; he has contributed greatly to the theory of the line over the years. The second part of the book looks at lines where Black avoids or considerably delays playing …Nf6. Perhaps he plays 2…Nc6 3.Nc3 Nd4 or plays 3…e5 and eventually develops the king’s knight to …e7, achieving a kind of Botvinnik set-up. Throughout, Khalifman’s recommendations reflect the state of current theory rather than being simply a revision of the first edition of the book. He suggests many improvements and presents a lot of original analysis. His suggested improvements are often unpretentious, at least at first glance, but they invariably impress. One surprise recommendation is a little-explored pawn sacrifice in a main line of the Symmetrical English (4…g6 5.d4 Bg7 6.Bg2 cxd4 7.Nxd4 0-0 8.0-0 Nxd4 9.Qxd4 d6 10.Qd3 Rb8 11.c5!?). An interesting decision. Most of the book is concerned with the detail of this or that specific move or variation, but the conclusions at the end of each chapter give a useful executive summary, tying together what’s been analysed and setting out some guidelines as to how to treat the positions and variations that have arisen. For Khalifman, it seems that opening theory is akin to working on foreign policy. It’s all a matter of quelling crises, trouble-shooting problems as they arise. You’re all the time looking for the best fix, realising that there’s nothing that’s either perfect or ideal. He is like Neurath’s sailor, faced with the quandary of mending his boat while at sea. This is an excellent opening book, rigorous and exhaustively detailed in its analysis. If you have a positional style, play flank openings and are serious about your chess, then it is pretty much an essential resource. You probably won’t be able to play as well as Kramnik just from reading it, mind. A significant contribution to our understanding of Nimzowitsch’s chess thought. Great gratitude must go to the late Rudolf Reinhardt, a chess historian who has diligently researched, compiled, and edited Nimzowitsch’s writings from the latter period of his life. It was a period that saw what was probably his greatest sporting achievement, outright victory in the tournament played at Carlsbad in 1929, coming out ahead of Capablanca, Spielmann and Rubinstein. Nimzowitsch was clearly Capablanca’s equal at this time (they drew four times) but Alekhine posed a considerable problem for both him (he suffered four losses here) and his contemporaries. Alekhine was in a different class altogether. The book contains pretty much all the games Nimzowitsch played in the principal tournaments of the period (Bad Kissingen 1928, Carlsbad 1929, San Remo 1930, Bled1931, Zurich 1934), some games from minor tournaments and from Nimzowitsch’s matches with Stahlberg and Stoltz and, finally, some training games and games played in simultaneous displays. Most games are annotated by Nimzowitsch himself. Amongst the essays and articles are tributes to Chigorin and Lasker. Other articles touch on topics that are still of great general interest: strategy, psychology, aesthetics, playing style, practical play and preparation for competition. There is a comparison of amateur and professional approaches to chess, not always to the benefit of the latter. One could regard this book as a sequel to My System and Chess Praxis, as the cover blurb asserts, and as a companion volume to Per Skjoldager and Jorn Erik Nielsen’s Aron Nimzowitsch: On the Road to Chess Mastery, 1886-1924, which covered his early life and career. Either way, it is chockfull of wonderful chess and is a significant contribution to our understanding of Nimzowitsch’s thought. His personality shines through in both the articles and the annotations, and his profundity is everywhere apparent. That is the one rather shop-worn phrase that football commentators are prone to come out with, especially when they are viewing a match where neither side has scored and where few chances to score have been created overall. In other words, it is a dull, drawish game that is without (or of very little) interest. Perhaps Adam Wells’ book will go some way to convincing such pundits that a mating attack by Alekhine, Tal or Shirov can be as spectacular as a goal by Wayne Rooney. We can always hope. The aim of Well’s book is to explore the relationship between football and chess. To draw out significant analogies, see what can be gleaned. It is clear that both games involve attack and defence (in some sense) and that each emphasises the importance of the centre (or the midfield) and the initiative (the capacity to make threats: ball possession, running off the ball and swift passing). That old football cliche to the effect that a side has to score when they are on top is matched by Steinitz’s imperative that when you have the advantage you must either use it and attack, or forfeit it. Elsewhere, Wells ranges widely and discusses some of the psychological factors important to both games (creativity, concentration, emotional control, etc.) and aesthetics, at one point comparing a move by Mikhail Tal to a pass by Ronaldinho (!). Football and Chess: Tactics; Strategy; Beauty is a fascinating book, though you also probably need to have a strong interest in football, and in particular in football tactics, to get the most out of it. If you want a straightforward, layperson’s introduction to football tactics, Jonathan Wilson’s Inverting the Pyramid (2009) is strongly recommended. An engaging and insightful positional primer. Perhaps the best way to describe the book is to say that it is as though Daniel Naroditsky were explaining to a friend (you, the reader) what he has learned most about positional play, the lessons that he has truly taken to heart. That is the predominant feeling: a generous and unpatronising sharing of knowledge. There are six chapters, covering topics such as prophylaxis (our old friend), defending inferior positions, building and dismantling fortresses, the positional sacrifice, manoeuvring and ‘paralysis in the middlegame’. By this last topic Naroditsky apparently means zugzwang, but also bind play: the restraint and suffocation of opportunity. Prophylaxis with teeth, you might say. Each chapter ends with a summary of its key points, including plenty of practical advice, and there are also a few exercises to keep your grey matter ticking over. We are given a good number of mainly modern games and positions, rather than the usual tired examples (or ‘classics’, as they are sometimes called), with a fair number of them Daniel’s own. As you might imagine, Naroditsky’s annotations are especially candid and lucid when he comes to commentate on his own games. All told, this is an instructional work of great maturity and insight. It is certain to increase your understanding of positional play. This is an excellent primer of positional play. There are twelve chapters, each devoted to a particular positional element: the open file, strong and weak squares, the passed pawn, good knight versus bad bishop (and vice versa), etc. Included are a few well-known, classic examples, naturally enough, but overall modern games predominate. Yaroslav Srokovski’s annotations are instructive, not least because they are refreshingly objective for textbooks of this sort. He reminds us that a positional advantage – no more than an advantage in material – does not necessarily guarantee victory. There are about 4 or 5 exercises to solve at the end of each chapter, that is 54 exercises altogether, and the ‘Solutions’ section of the book is chock full of analysis and explanation, so you’re not short-changed in this respect. In his consideration of a few positions Srokovski is highly dependent on the analysis of others (e.g. on Kindermann in his analysis of position 115, taken from a game between van Wely and van der Werf), and I would have welcomed details of the source annotation in these cases. Otherwise, I have absolutely no complaints: this is a model textbook with a clear pedagogical structure and perspicacious, idiomatic prose. A very instructive and enjoyable read. 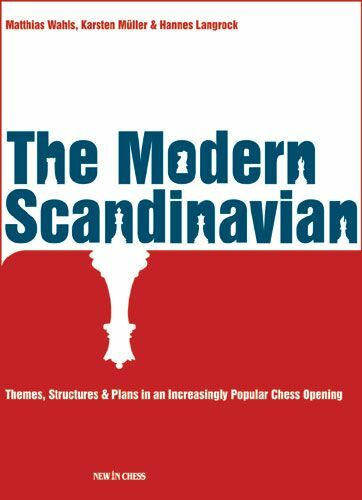 A comprehensive guide to the middlegame themes that crop up in the Scandinavian, that’s what’s on offer. This is an outstanding opening book and quite an unusual one because, paradoxical as it might sound, it is mainly about strategy and tactics in the middlegame. It looks at the line 1.e4 d5 2.exd5 Qxd5 3.Nc3 Qa5 (and not 3…Qd6, which one could argue is the more ‘modern’ move) but the recommended repertoire, the baseline opening information as it were, is relegated to a ‘theoretical appendix’ right at the end. The bulk of the book (to be exact, 15 of the 18 chapters) surveys the different central pawn formations arising from the Scandinavian and the sorts of plans, tactical motifs and positional factors that are frequently called into play because of this (topics touched upon include: key squares, the white bishop-pair, the important pawn levers available each side, etc). Certain central formations occur more often than others and, because the book aims to be (and, for the most part, succeeds in being) comprehensive, it has rather a lopsided structure. At one extreme there is chapter 2 on ‘the standard centre’ (a white pawn at d4 versus black pawns at …c6 and …e6), clocking in at close to 200 pages and containing 147 complete games (! ), while right at the other end of the spectrum there is chapter 9 on ‘the multi-isolani centre’ (an isolated white pawn at d4 versus an isolated blackpawn at …c6 and a pawn at …e6 also), consisting of two short paragraphs only. There is a kinship between the two, of course. If from ‘the standard centre’ White plays c4 and Black responds with …b5 and …bxc4 (as well he might, for example to seize the …d5 square for a knight), then ‘the multi-isolani centre’ will come into being. Although written very much from Black’s viewpoint, there is a near-objective outline of the plans and pluses for both sides. Naturally, this is a good thing. For as Black you need to be aware of what White is aiming for and what his assets are, else you could easily go wrong. White‘s early lead in development and noticeable spatial advantage can make for a volatile cocktail, , endangering Black’s exposed queen. And the position may blow up in Black’s face, as has sometimes happened. All those who play the Scandinavian, or meet it as White, will benefit from studying this book. The publisher’s description of The Modern Scandinavian is here.